I’m going to start this post with an apology to all of you who have commented on one or another blog post…and been soundly ignored. It isn’t that Christy and I don’t appreciate your comments, it’s just that we…okay, more me than Christy, had every intention of responding to your comments but my brain kept shoving them aside and leading me in other directions. Research, writing, promoting, doing interviews for the Dames of Dialogue blog, formatting a book for a friend to put on Kindle, and countless other things have all gotten in the way of my good intentions where this blog is concerned. And yes, I know my priorities are wrong, wrong, wrong! So, I apologize. I really didn’t mean to ignore you but I did and I’ll do my best not to let it happen again! 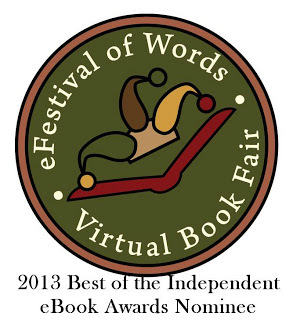 Okay, now for the news part of this post: Whistling Woman has been nominated for a Best of the Independent E-book Award in two categories; Best Literary Fiction and Best General Fiction (Mainstream Fiction). We don’t have a clue who nominated us, and I guess it really doesn’t matter, but we are thrilled that someone (or two someones) read Whistling Woman and liked it enough to nominate it for an award. So, a big thank you to whoever nominated us and an even bigger thank you to all the readers who’ve taken the time to let us know how you liked the book on Amazon, on this blog, on our personal websites, or by sending us an email at cctillery@yahoo.com! I know many authors have said it before and at the risk of repeating every one of them, Christy and I are grateful to all of you. Seriously, we’d love to meet each and every one of you and maybe take you out to dinner or lunch at our favorite little diner in Hot Springs, or at the very least give you a big hug. Since we can’t do that we’ll have to settle for saying again, thank you, Thank You, THANK YOU TO THE BEST READERS IN THE WORLD! We appreciate your lovely comments and more than that, your support and interest in Aunt Bessie’s story. I’m sure she and Uncle Fletch are smiling down from heaven on all of you. And last but not least, Christy and I will be in Hot Springs on June 15th for the Bluff Mountain Festival. If any of you are in the area, we’d love to meet you–and maybe we’ll have time for dinner at the Smoky Mountain Diner! We’ll at least treat you to a glass of their outstanding iced tea. Also, we’re making plans to go to Old Fort/Black Mountain at the end of this month or early next month to do the fun part of the research for Moonfixer which, of course, means a visit to Aunt Bessie’s and Uncle Fletch’s graves and the site where their house once stood. It will be a homecoming of sorts for us since we spent quite a bit of time there as children but we haven’t been back in years. 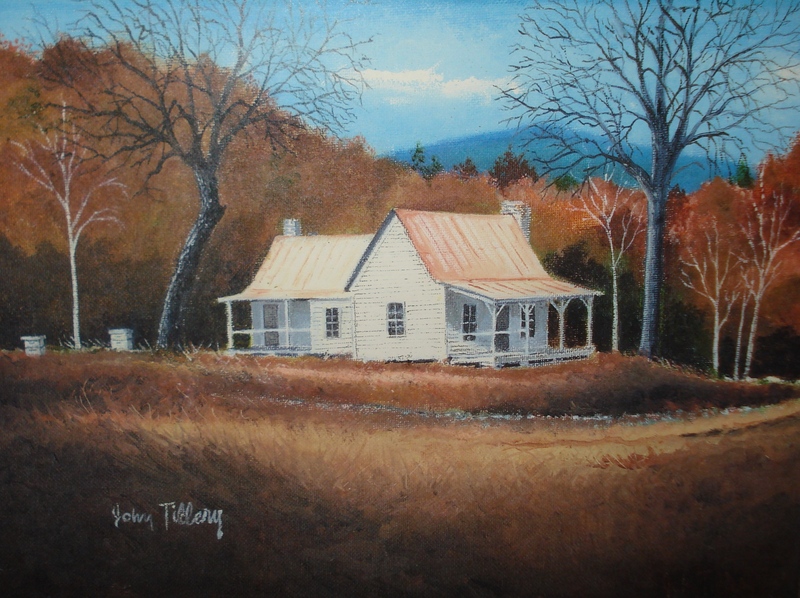 I’m sure the childhood memories will be flowing…just looking at one of Daddy’s paintings of her house is enough to bring them back for me! No apology necessary. Please spend that time working on the sequel. I can’t wait for it to come out. Aw, thanks, Linda. We’re moving along! Thanks for sharing about the award, and congrats! I can’t wait for the sequel to Whistling Woman. Thanks for commenting, Laurel, and thanks for the lovely review on Amazon. We can’t wait for the sequel to be out, either! I loved Whistling Woman and can’t wait for Moonfixer. Background and “sayins” remind me of my beloved maternal Gram’maw. Thanks so much! Other readers have made similar comments to yours and we’re very glad the book brought back happy memories to so many! Read both books. Congrats on your awards. What’s coming after Moonfixer? Can’t wait!! Absolutely love this series. Hi Lisa. We’re so glad you enjoy Whistling Woman and Moonfixer. The next book will be available late this year (we hope!) and we’ll be announcing the new title later today. Thanks!